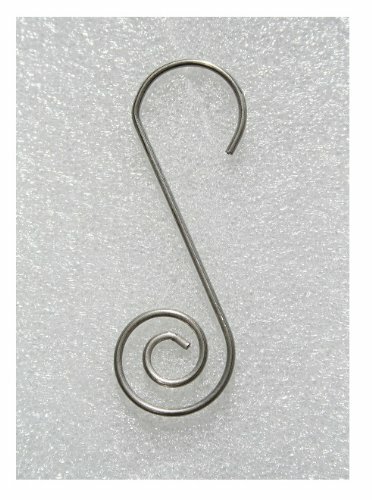 These stainless steel decorative hooks are the perfect way to highlight your outdoor garden, holiday displays, tree lights and other garden items. 3" in length and made from a heavy gauge stainless steel, these hooks can hold over 10 lbs without bending. A built-in decorative swirl makes these stand out. Use them for Christmas or holiday outdoor decorations, tree lighting or other outdoor or indoor needs. Will not rust or corrode. Great for outdoor use. Packaged as a set of twenty-five (25).